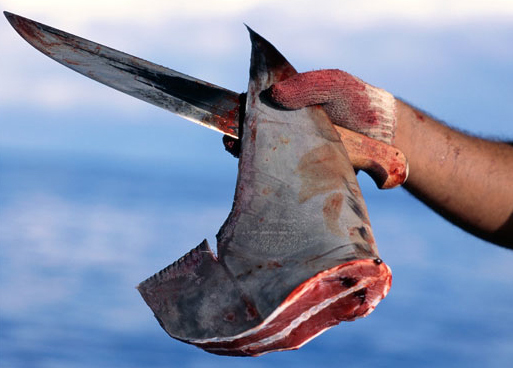 Costa Rica vs Sharks – How government greed is pushing sharks into extinction. – I.C.A.R.U.S Inc. When you think of Costa Rica people picture expansive, rich green forests, beautiful oceans and an abundance of animal life. All of this is true, but everything is not so sunny in paradise. Earlier we wrote about the effect the banana plantations have on the the wildlife, the human populace and Costa Rica’s lush land and how the government is doing nothing to stop them or protect the country. Even more recently the Costa Rican government made a poor and hasty decision to roll back protection on sharks in their waters if they have a commercial value. Um, WHAT? Shark population decline is a serious worldwide issue. 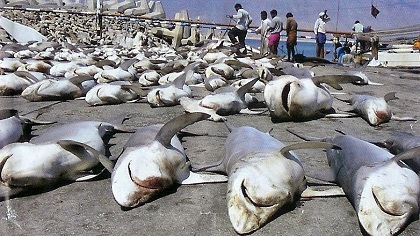 Around 11,000 sharks are killed everyday. Many species of shark are either endangered or threatened under the CITES list. In 2013 Costa Rica moved to protect several species of shark and have them listed under CITES protection which was successful. 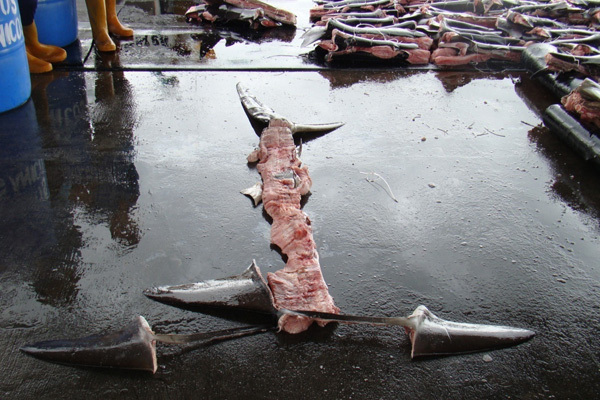 They even banned shark finning and shut down some docks that were frequently breaking the law. Still shark finning remained an illegal activity in Costa Rican waters and 410kgs of fins were exported out of Costa Rica on route to Hong Kong by American Airlines in 2014. The fins came from two protected species and was one of several exports that stopped in the US. This was in violation of both American laws and, supposedly, Costa Rican ones. The shipments, though, were strangely approved by the Costa Rican government. 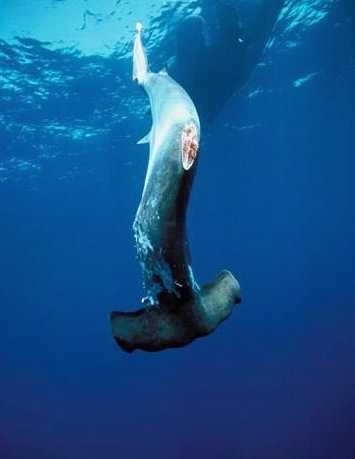 Thankfully the transport company, American Airlines, has now agreed to stop shipping shark fins, as well as UPS, however the issue of shark finning and killing in Costa Rica remains. 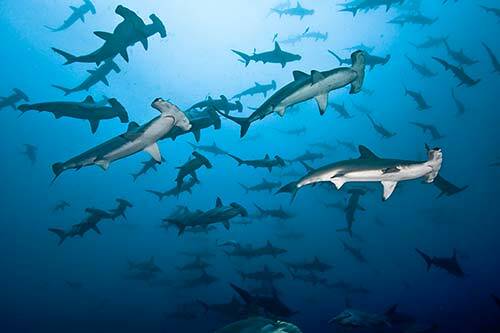 Upon hearing Costa Rica’s new stance on sharks, which is to protect the fishermans’ livelihood (and not the sharks), Randall Arauz, president of marine conservation group PRETOMA stated, “[The Environment Ministry] doesn’t care about science anymore. They’ve decided that the traditional knowledge of fishermen is now better than the best available science about what is detrimental to fish populations”. With this new measure they are also going to ask UPS and American Airlines to change their stance on shipping shark fins. This destroys not only any chance for the sharks to survive but also reexamines catch sizes that are there to protect fish (because, let’s face it, overfishing isn’t a serious issue either.) In addition there are plans on overturn a bill to make shrimp trawling legal again. Remember it’s those pesky trawlers that damage the ocean. And sharks, pfft ….they aren’t important for ocean health and also society has deemed them menacing and dangerous. Why not rid the ocean of them with some ridiculous legislation? As a result we can enjoy all of the fish for twenty years or so and then wonder what happened when there are no fish left in the ocean and the our ecosystem is destroyed. I worry that this isn’t a solid plan, Costa Rica. Sharks aren’t just imperative to ocean health, but they are worth way more alive than in a soup bowl. The shark tourism industry brings in around $314 million A YEAR and it’s expected to rise exponentially. However,a kilo of shark fins is worth a mere $650. Oddly enough that one shark who can produce millions of eco tourism dollars is worth so little as a one time fin experience. Thankfully, the government is getting quite a bit of negative press about it, but will it be enough to save this ancient species. Costa Rica used to be known as the country who cared. A country that proudly proclaimed that had a zero carbon footprint. Now will they become just another greedy country who cared more about a quick buck then preserving the ocean, and the planet, for future generations? When your grandchildren ask what happened to the sharks will you tell them that governments like this were the ones who pushed sharks to extinction? Costa Rica, it would be shameful if that was your future.